While attending ΦantastiCon in Athens in 2017, readers of speculative literature must have felt elated to see so many Greek titles on sale for the first time. Compared to the dearth they had experienced for so long, this cornucopia of new voices seemed extremely promising and not a little surprising. What was the story here? When it comes to speculative fiction, Greece had quite the head start. Lucian's True History is touted as the first work of science fiction; the Iliad and the Odyssey are considered among the first works of epic fantasy. Despite such illustrious beginnings though, the genre took a long while to flourish. In 1987, the science fiction writer Makis Panorios began gathering more or less the entirety of Greek speculative short stories in six volumes (titled Το Ελληνικό Φανταστικό Διήγημα). His work reflects both the hardships as well as the persistence of those few dedicated to the craft. Until the early 2000's, not many writers had tackled the genre; the turbulent political situation which persisted until the early eighties, had ensured that fiction tended to focus on 'serious' issues, while the fantastical element was mostly limited to children' stories and folk tales. Even the seminal Lord of the Rings was not translated until 1978. As usual, it was pulp that came to the rescue: two separate paperback series, "Aurora" and "Terra Nova", published cheap anthologies that introduced translated classic short stories to the public. Along with paperbacks sold mostly at street kiosks, they introduced fans to the canon of speculative fiction. In the late '90s-early 2000s, things began to change fast, in part due to the publication of 9 magazine, which was included in the major Eleftherotypia newspaper every Wednesday. While focusing mainly on comics, 9 also published a short story every week, either Greek or translated, thus providing speculative writers with a mainstream outlet as well as familiarizing the general public with the genre. Soon, more writers felt encouraged to write speculative fiction, and new groups formed, which still remain influential today. 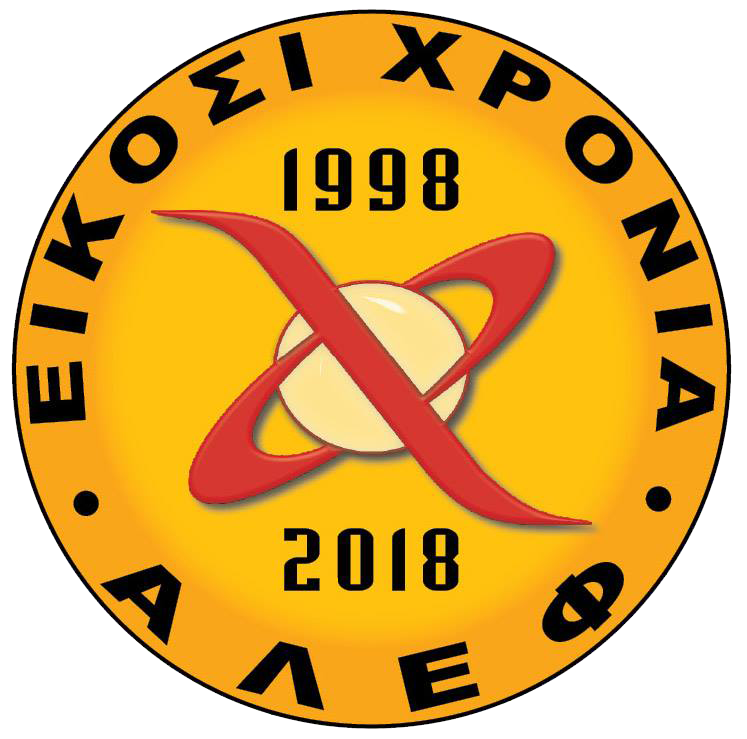 ALEF, (Science Fiction Club of Athens), had formed in 1998; the editor of 9, Aggelos Mastorakis, was the president as well as one of the founding members. The Prancing Pony, a Tolkien appreciation society, was formed in 2002; the same year as the Espairos gaming society, began its activities. 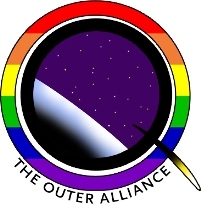 In 2003, the sff.gr forum allowed writers and fans of speculative fiction to gather in one large community for the first time. At this time, few publishing houses were dedicated to the genre but almost all of them remain active today: among them are Sympantikes Diadromes (Universe Pathways), Locus-7, Anubis, Fantastikos Kosmos and Aghnosti Kadath (Unknown Kadath), which also operates the only dedicated SF bookshop in Greece. OXY and Triton were among those who ushered in the golden age, but have since ceased publication. Other major publishing houses such as Kedros, Aiolos and Archetypo, took and still take care to include important speculative fiction titles in their lineup. While the genre had benefited from the success of Lord of the Rings movies in Greece, the same as every other Western country, it was paradoxically the economic crisis that gave it its biggest boost. On one hand, after 2010 more publishers turned to local writers in order to avoid high translation costs. On the other hand, the self-publishing industry suddenly flourished, in many forms: even major publishing houses started offering print-on-demand services, in order to supplement their income. Many speculative works thus found their way to print (though not always to the bookshops). After 2010, the scene grew fast and many new names came to the forefront. My (inevitably subjective) roll-call of speculative fiction writers in Greece, begins with those who have been active long before the current boom. Makis Panorios, actor, anthologist and translator as well as science fiction writer, is still publishing novels and anthologies at the age of 82. 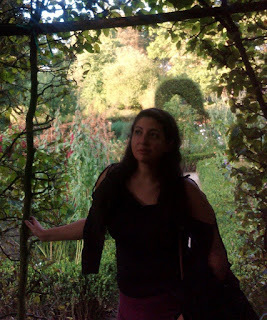 So is Diamantis Florakis, one of the first bloggers worldwide, and author of mostly dystopian science fiction. George Balanos and Thomas Mastakouris both have served the genre for many years as translators and anthologists, while producing their own works in horror and fantasy respectively. Thanasis Vempos also translated many seminal works while producing his own science fiction novels and short stories. Dr Abraham Kawa (Democracy-2015, Το Ασήμι που Ουρλιάζει-2009) has contributed both to speculative fiction with his short stories and novels, as well as to academic research, along with Dr Domna Pastourmatzi, also a frequent contributor to the academic discourse on science fiction. Among the newer generation, it is notable that many of the authors making waves in the genre began in the sff.gr online workshops, as well as in the ALEF workshops. Among those writers is Michalis Manolios, who won Albedo One's Aeon Award in 2010 with his short story 'Aethra', and whose work (Αγέννητοι Αδελφοί-2014, Και το Τέρα-2009ς, Σάρκινο Φρούτο-1999) falls between science fiction and horror. Other 'alumni' of sff.gr include Vasso Xristou (Λαξευτές 2007-2015), Antony Pashos (Πέρα από τη Γη των Θεών-2009) and Eirini Manta (Το Δαιμόνιο της Γραφής-2012), who have penned fantasy and dark fantasy works. In the realm of horror, (easily the most popular genre among Greek writers), Perikles Bozinakis (Απόκρημνος Χρόνος-2008, Η Άβυσσος πίσω από την Πόρτα-2015), George Lagonas (Μεσονυκτικό-2015), P. Μ. Zervos (Η Εξορία του Προσώπου-2017), Maria Rapti (Τα Χειρόγραφα των Σκοτεινών-2015) and Konstantinos Kellis (H Σκιά στο Σπίτι-2016) are also very well-regarded. Authors Petros Tsalpatouros (Έλος-2009), Teti Theodorou (Από τη Σκόνη-2013), Vaya Pseftaki (Ενυδρία-2011), C. Α. Cascabel (Δράκων-2015), Kostas Xaritos, Stamatis Ladikos, and stand up comedian Elias Fountoulis have produced one quite well-received novel each, while Konstantinos Missios (Η Νύχτα της Λευκής Παπαρούνας-2007) has tackled both fantasy and horror in his two novels. Angeliki Radou, Giorgos Xatzikiriakos and Leta Vasileiou have written children's books that appeal to adults as well. It is interesting to note that while most of these works take place in Greece, the stories would not look out of place in any Western city. 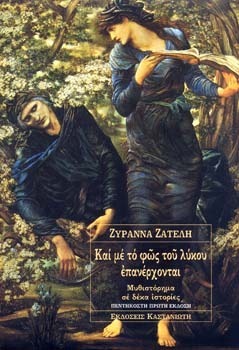 However, there are also writers inspired directly by uniquely Greek themes, history and fables. 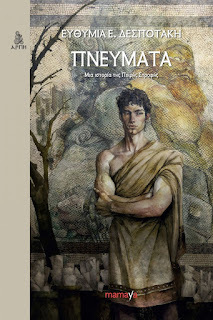 Efthymia Despotaki, who writes fantasy with a strong Greek flavour (Πνεύματα -Spirits-2016 is her strongest work), and Eleftherios Keramidas, whose best-selling fantasy trilogy (beginning with Κοράκι σε Άλικο Φόντο - Raven on Scarlet Backdrop-2017) is based on the Byzantine era, are such examples. Another writer who also deals with uniquely Greek themes is Xristostomos Tsaprailis, who published Παγανιστικές Δοξασίες (Paganist Doctrines-2017) a collection of folk horror stories with a twist. It is interesting that neither these writers nor any well-known genre works are inspired by the quite celebrated Greek mythology; instead, it is the least known aspects of Greek antiquity and the so called Dark Ages that tend to inform both fantasy and horror. Two rarer examples are magical realist Zyranna Zateli (At Twilight They Return-2013) and the harder-to-classify Ioanna Mpourazopoulou (What Lot's Wife Saw-2007). Zateli's lyrical work has been translated into French, German, English, Italian etc, while Mpourazopoulou was translated into English and French, resulting in both cases in awards and critical accolades. Their magical realism proved easier to tackle for the literary media, and the two authors are celebrated, unlike the majority of genre writers in Greece. The divide unfortunately ensures that when genre fiction is discussed in Greece, Zateli and Mpourazopoulou are often not a part of the discussion. There are, of course, many names one could add to the list; as mentioned above, there is currently a cornucopia of new titles available. Unfortunately, this happens in part because of the proliferation of a certain type of self-publishing: in the last years, many small publishing houses were founded in order to offer print on demand services along with a legitimate publishing logo. While this practice did kindle interest in the genre, by giving an actual outlet to authors, it also created for many the very false impression that to be published, one needs to pay for the privilege; furthermore, there are no established criteria for these self-published works. This is one the reasons that many Greek writers have turned to writing in English instead, where the competition is greater but the field is considered fairer. Natalia Theodoridou, Christine Lucas, Eugenia Triantafyllou, Eleanna Castroioanni, George Kotronis, Vaya Pseftaki and (caution: shameless self-insert) myself, have been published almost exclusively in English language magazines such as Apex, Clarkesworld, Shimmer, Metaphorosis, Colored Lens, Beneath Ceaseless Skies etc., as well as in various anthologies and collections. 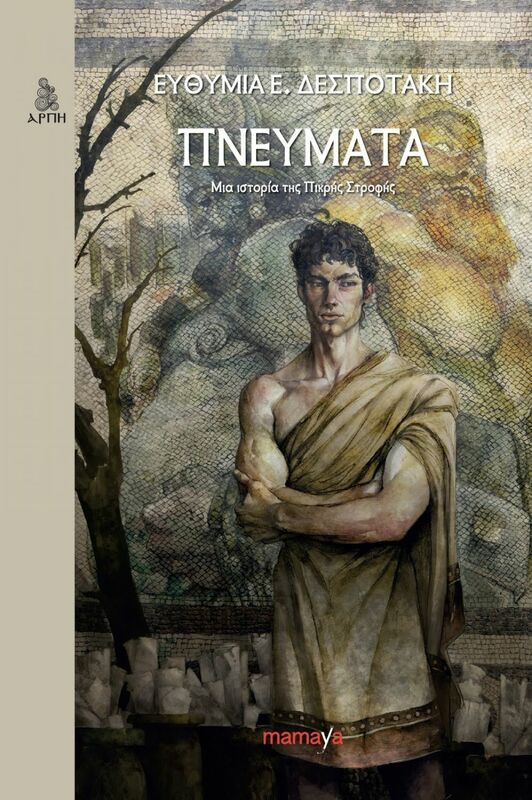 Despite these obstacles, it is quite obvious that the speculative fiction scene in Greece is growing and spreading. 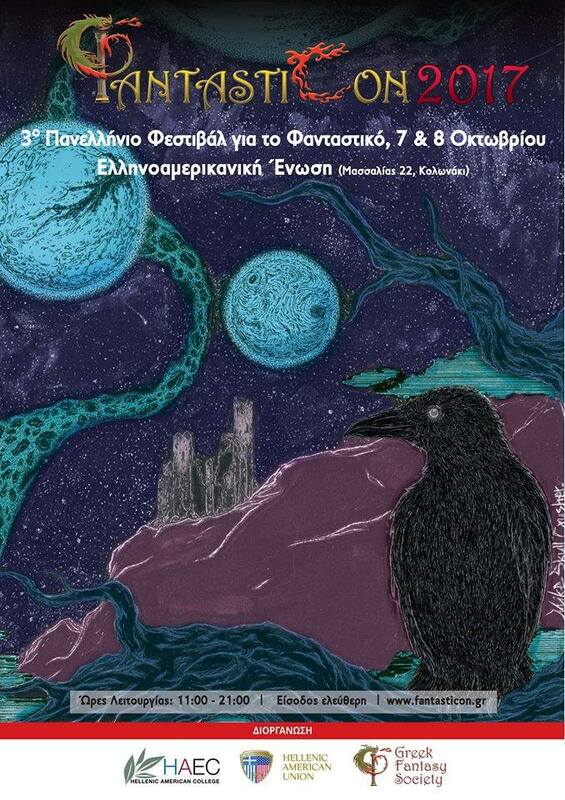 Two major websites have attracted the attention of fans: nyctophilia.gr, edited by writer and translator Elaine Rigas, focuses on horror and publishes articles and fiction, while willowisps.gr, edited by illustrator Marilena Mexi, focuses on fantasy. Both websites host a generation of writers and critics focused exclusively on the genre. ALEF's magazine Fantastika Chronika (Φανταστικά Χρονικά - Chronicles of the Imagination) continues successfully in print since 2003, while a new magazine, Ble Komitis (Μπλε Κομήτης - Blue Comet), has just been published to some acclaim. ALEF and the gaming company Gamecraft also publish anthologies, always including some of the most interesting voices in the field. Dedicated imprints such as Arpi have also sprung up, showcasing exclusively the work of Greek genre writers. 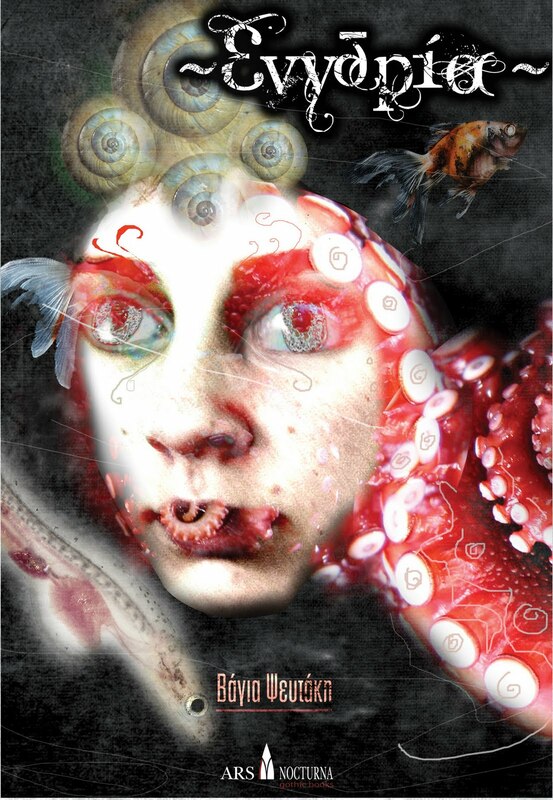 Other relatively newly founded publishing houses include Selini, Ars Nocturna, Medusa and Jemma Press. Another proof that the scene in Greece is vibrant and growing, is the proliferation of conventions. 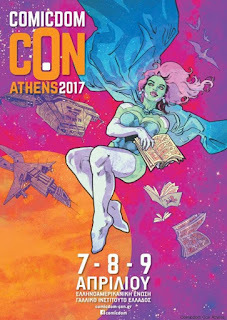 I have a special place in my heart for ΦantastiCon, which takes place in Athens and focuses mostly but not exclusively on fantasy. 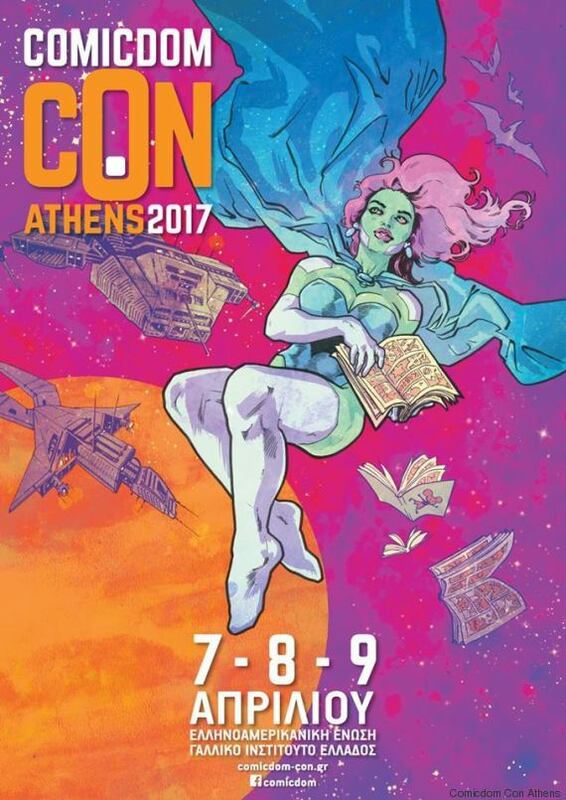 Other major cons are Athenscon, Comicdom and Comicon. 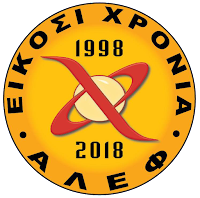 The latter takes place in Thessaloniki, where the Thermi Society for Friends of Fantasy has also been organizing events for years. The city is also the seat of our own Tales of the Wyrd, which organizes open creative writing seminars and workshops dedicated exclusively to speculative fiction. Recently, the Prancing Pony Tolkien Society set up a new chapter in the same city, which also hosts several events. The fantastic then is definitely on the rise in Greece; the first vampire series is currently being produced for mainstream TV, while gaming groups, thematic coffee shops and themed bands accompany this rise in popularity. While the highest praise for a writer used to be that their book 'had nothing to be envious of when compared to foreign literature,' this mindset is slowly going away. As a member of the scene, I am finally looking forward to the next con, the next workshop, the next book. Come visit us sometime; we have many stories to tell you. Dimitra Nikolaidou is currently completing her PhD on role-playing games and speculative fiction at Aristotle University of Thessaloniki. She is the head of publications at Archetypo Publications, and she is also teaching speculative creative writing at Tales of the Wyrd. Her articles have been published at Cracked.com and Atlas Obscura, while her stories are included in various anthologies and magazines (Metaphorosis, See the Elephant, After the Happily Ever After, Αντίθετο Ημισφαίριο).